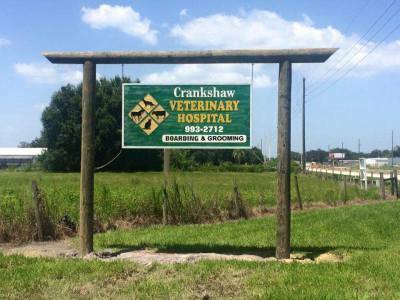 Crankshaw Veterinary Services is a full service hospital and boarding facility that was established by Dr. Crankshaw in 2001. The office is located off of Highway 17 South in Arcadia on Wisteria Avenue. The clinic has a relaxed, quiet country atmosphere with a large yard that is not on a major road. Our goal is to provide excellent veterinary care at affordable prices. We provide small animal medical care and boarding at the office and large animal care at the clinic and on the farm.